The Kentucky Association of Hospice and Palliative Care honored Baptist Health’s Kay Ross with the “Hospice Champion” award at its annual conference in August. Ross, who recently retired after an impactful career championing palliative and hospice care, was nominated for the award by Bluegrass Care Navigators. The Hospice Champion award is given annually to an individual who has advanced the cause and support of the hospice industry and/or the principles and concepts consistent with values underling the provision of hospice services. “Kay’s leadership has increased access to high-quality hospice and palliative care services in Kentucky and throughout the nation,” Liz Fowler, Bluegrass Care Navigators President and Chief Executive Officer, said. Ross, who retired as Vice President, Clinical Services from Baptist Health Lexington earlier this summer, was an innovator and steadfast supporter of palliative care and hospice services throughout her 20-year career with Baptist Health. She helped establish the inpatient palliative care program at Baptist Health Lexington at a time when only 5 to 10 percent of the nation’s hospitals were offering similar services. Once the program was established in Lexington, she was key to rolling the program throughout the Baptist Health system as the Executive Sponsor for the Palliative Care Resource Council. Ross has been an influential participant and faculty member in Bluegrass Care Navigators’ Palliative Care Leadership Center, which is nationally recognized as one of only nine centers of excellence providing team skills and strategic consulting to enable hospital systems and others to deliver the highest quality, sustainable palliative care. Through this partnership, the hospice-hospital model Ross championed has spread nationally to propel the growth of specialist-level palliative care in U.S. hospitals. Ross was instrumental in the addition of a hospice nurse liaison to the staff at Baptist Health Lexington. In 2016, while working with the Baptist Health Louisville chief medical officer, Ross achieved system support to begin an advance care planning initiative in collaboration with Gundersen Health. That initiative is in its second year and includes all Baptist Health hospitals, Baptist Health Medical Group, system-wide Home Care and Baptist Community Care. This initiative ensures that providers have the skills required to communicate effectively with seriously ill patients about their goals and preferences for medical care. 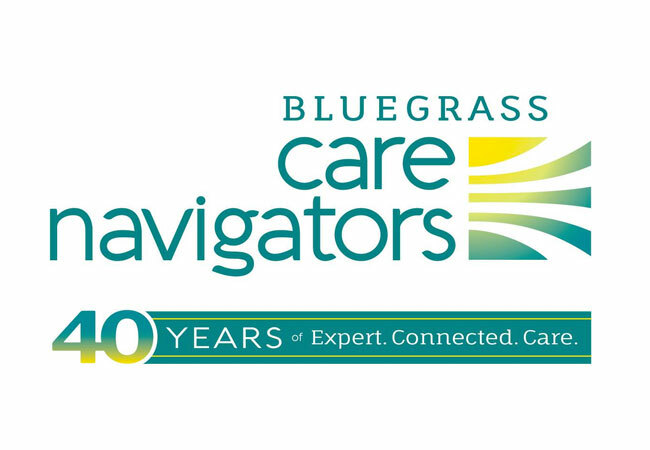 To learn more about Bluegrass Care Navigators, call 855.492.0812 or visit www.bgcarenav.org.